Cannes, France - How do I compare and describe the Cannes Film Festival to someone else that has never been here? The best comparison I can give would be the Olympics. This is the Olympics of the Cinema because Filmmakers representing various nations around the world come here to contend (in the competition segment) for the Palm d’Or. Nations from around the world come here to compete in the Marche Du Cinema (which is the market segment of Cannes). This is my fourth time at Cannes Film Festival and the Dominican Republic, as a nation, has been a constant presence here. It is the only nation from the Caribbean Region with a booth and full staff on the world famous Cannes Pavilion (Village International). To walk the Pavilion is to see countries from all over earth with their flags waving proudly in the air. Not just in their presence here at Cannes, but also in their filmmakers. 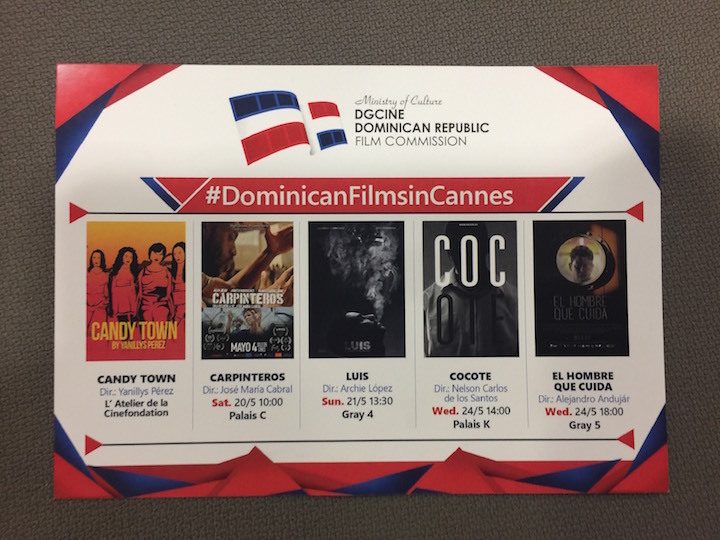 The Dominican Republic (which has a population close to 11 million people) is here with four feature length films screening in the March Du Cinema. They are “Carpinteros” (directed by Jose Maria Cabral), “Luis” (directed by Archie Lopez), “Cocote” (directed by Nelson Carlos de los Santos), and “El Hombre Que Cuida” (directed by Alejandro Andujar). At the time when I was putting this piece together, the only filmmaker of the four present at the Pavilion was Archie Lopez, whose film Luis will screen tomorrow at Cannes. Archie, mostly known for comedies, has produced nine feature films making him one of his nation’s most prolific. His film Lotoman 003 is the top grossing film at the box office in the DR. Luis is his first drama, and one in which he wrote and directed. The film tells the story of a police colonel who’s a public national hero while struggling with a troubled teen son at home. When I spoke to Mr. Lopez this morning he informed me that local films are doing better than Hollywood films in the Dominican Republic as the local audience is very supportive. He says of his last film, “We came out the same time as Star Wars did. We had five hundred, fifty thousand (550,000) people as an audience and Star Wars did something like two hundred thousand (200,000) at the same time. “Our people go to see our movies and are happy to support our films,” he said. The Dominican Republic, through their Ministry of Culture, also parades around an awesome device. It’s a small jump drive attached to a card, which when inserted into a computer, informs the viewer of the country and its filmmaking life. In this drive lies a database of all films from the DR (past and present). You also see a travelogue of the country and what is to be gained from filming on location there. You learn about their incentive programs. There is also a detailed video informing you of its state of the art production facilities like Pinewood Studios and Quitasueno Studios which hosted Hollywood films like The Fast and The Furios 4 and A Dark Truth (starring Forrest Whitaker). Also present at the Cannes Pavilion is Omar de la Cruz, who serves as the director of the Festival de Cine Global Dominicano. This is the Dominican Republic’s annual national Film Festival. It began in 2006 when its then President, Dr. Leonel Fernández, inaugurated the first edition of the festival. Cine Global has gone on to become one of the most important cinematic events in the Region. The President announced back then that he would make the Dominican Republic the new mecca for Latin American film and that the festival would be the platform to do it. With its creation and development, the festival would promote awareness, a wider worldview. There is obviously a thing or two the Region (and my own home country in particular) can learn from the Dominican Republic. There is something to learn from its people and audience who support their local filmmakers. There is something to learn from its government who supports its filmmakers. Both are needed, in unison, to make this Caribbean Film Industry work. When I think of the many opportunities squandered in the Bahamas through incompetence, egos, lack of support, and poor governance, I cringe. Our proximity to the United States provides us such an advantage to be a mini Cannes type and in turn be an even greater blessing to the Region entire. 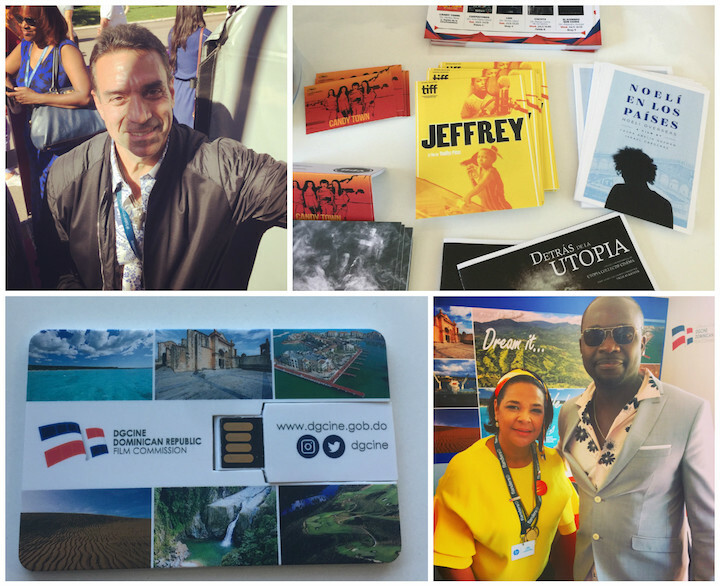 Last year when we produced the television segment of The Cinemas at Cannes, the Dominican Republic was more than happy to host us at their booth. And not just us, but they were willing to share their booth with any Caribbean Filmmaker and Producer at the festival who needed a space to do business or in my case, to film some interviews. This is the very spirit of Cariwood and what it will take for a Caribbean Film Industry to be fully maximized and realized.